Amazon simplehuman Mini Round Step Trash Can, Polished Stainless Steel, 4.5 L / 1.2 Gal 不锈钢，脚踩开盖的垃圾桶， $19.99一个. Walmart.com now you can buy this Rubbermaid 13-Gallon Step On Trash Can for just $15.07 after you select for free in-store pickup! 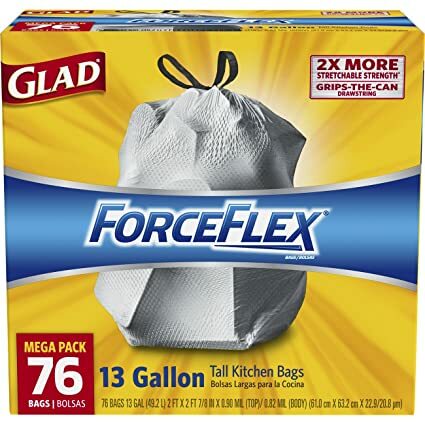 Amazon.com now you can get this 72-pack of Glad ForceFlex Drawstring 13 Gallon Tall Kitchen Unscented Trash Bags for just $9.26 (regularly $15.51)! 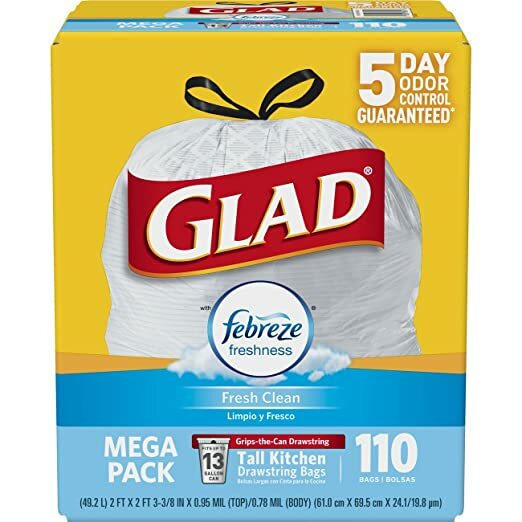 On Amazon.com you can now buy this 110-Count Glad OdorShield Tall Kitchen 13-Gallon Drawstring Trash Bags with Febreze for only $11.59 (regularly $19.06). That’s just 10¢ per bag! 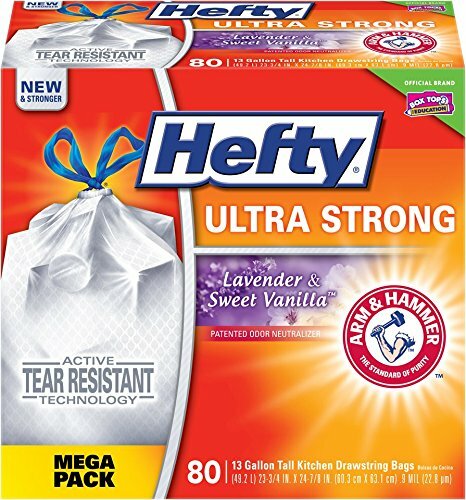 On Amazon.com where you can now get this 80-Count Box of Hefty Ultra Strong 13-Gallon Trash Bags in Lavender Sweet Vanilla for just $8.64 shipped (regularly $14.99) when you select to Subscribe & Save! 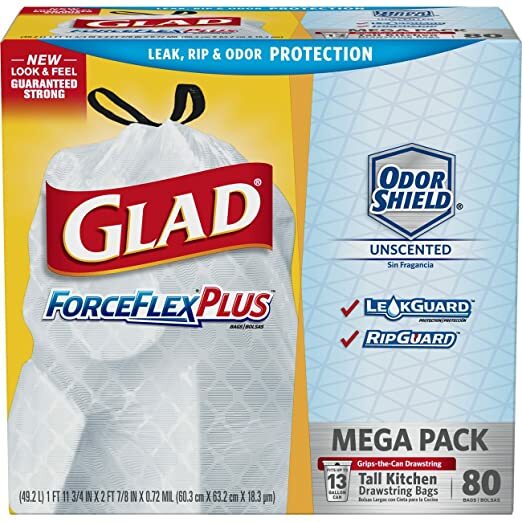 Amazon.com where you can now get this Glad ForceFlexPlus Unscented 13 Gallon Tall Kitchen Drawstring Trash Bags 80-Count for just $9.25 shipped after you clip the 20% off digital coupon and select to Subscribe & Save! These trash bags have ForceFlexPlus to prevent rips, tears, and leaks. Plus they have 5-day odor control and strong drawstrings to keep a tight fit in your trash can. 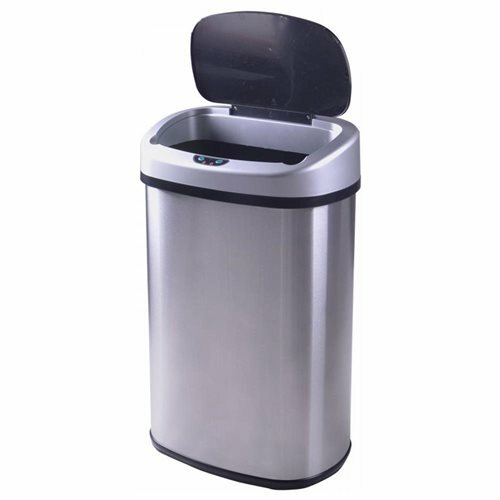 Through June 11th, go to Rakuten.com and get this Stainless Steel 13-Gallon Touch-Free Trash Can for just $29.99 after you use promo code FDW10 at checkout! Even better shipping is FREE! 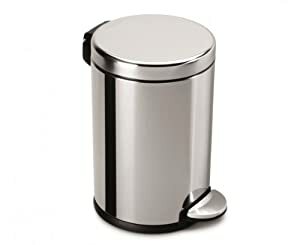 This trash can is perfect for any kitchen as it automatically opens when you are 6 inches above the infrared panel so you don’t have to worry about your hands being full or messy before opening the garbage! The outside is made of an anti-fingerprint commercial grade stainless steel and you can also turn the sensor off when you want the lid to stay open or shut. 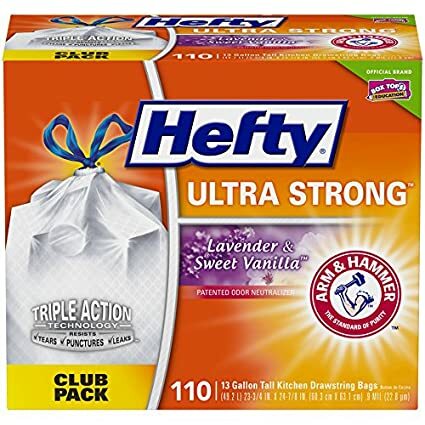 On Amazon.com now you can buy this Hefty 13-gallon Ultra Strong Lavender Sweet Vanilla Trash Bags 110-count Box for just $11.99 shipped when you clip the 15% off coupon and select to Subscribe & Save. On Walmart.com where you can now get this Hefty Black Touch-Lid 13.3-Gallon Trash Can for only $8.50 (regularly $14.47)! 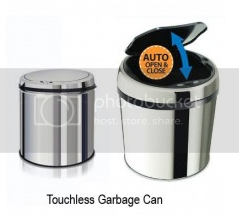 This trash can features a touch button, spring loaded lid and can hold up to 13.3 gallons. The closing lid is perfect to keep the little kiddos out of the trash. Through April 17th, Lowe’s is hosting a Spring Black Friday Sale both in-store and online. As part of this sale, you can get some nice deals on pull out trash cans. 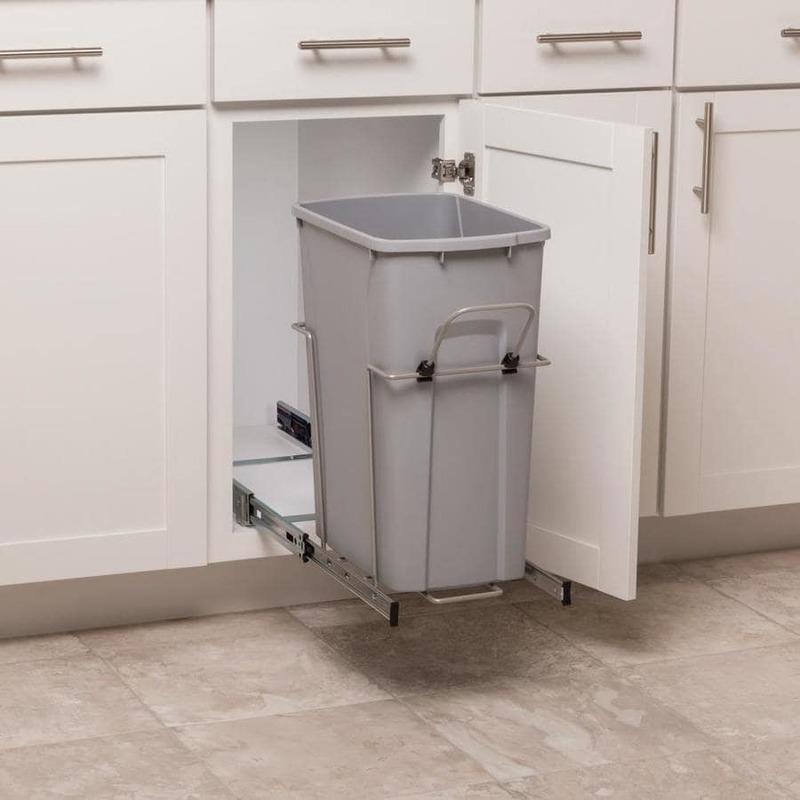 These trash cans slide under your countertops to keep the trash out of reach of children and pets.